Health Benefits of Turmeric – Turmeric, the Queen of Spices, is without a doubt one of the most powerful herbs in the world. It has the ability to fight and potentially reverse a disease. It contains many healing compounds, curcumin being one of it, which makes it an effective natural remedy for a number of health issues. The Journal of the American Chemical Society says that this super spice contains antifungal, antibacterial, antiviral, antimutagenic, anticarcinogenic, anti-inflammatory and antioxidant properties. Turmeric is also packed with essential nutrients such as vitamins C, E and K, protein, niacin, dietary fiber and minerals like calcium, magnesium, iron, copper and zinc. This is surely a spice to include in your regular diet if you have not already, and gained all the goodness it has to offer. Here is a look at 10 health benefits of turmeric. Did you know that turmeric is extremely powerful in fighting against prostate cancer? It can help in preventing prostate cancer and even inhibit the growth of an existing prostate cancer. The spice can generally destroy cancer cells. Multiple studies have shown that turmeric’s active compounds are what that make it one of the most effective shields against radiation-induced tumors. In addition, it can also prevent tumor cells like colon carcinomas, T-cell leukemia and breast carcinomas. Does arthritic pain often leave you unable to perform even small tasks? Turmeric can help in such case. As you know, the spice contains anti-inflammatory properties, thus making it highly effective in treating rheumatoid arthritis and osteoarthritis. Additionally, its antioxidant properties kill free radicals that are responsible for the damage of cells in the body. Studies have found that rheumatoid arthritis patients who consumed turmeric regularly experienced relief from mild to moderate pain in the joints and joint inflammation. Turmeric is a great natural treatment for diabetes as it has the ability to moderate insulin levels as well as improve the control of glucose. Apart from this, it enhances the effect of drugs that are used to treat this disease. It has also been found that turmeric is highly effective in lowering insulin resistance, which may in turn help in preventing the onset of Type II diabetes. However, it is important to keep in mind that when this spice is combined with strong medications, it can result in hypoglycemia or low blood sugar. So before you take turmeric supplements or capsule to treat diabetes, make sure to consult your doctor first. We all know that turmeric benefits skin, but did you also know it can improve immunity? There is a substance known as lipopolysaccharide in turmeric that helps in stimulating the body’s immune system. In addition, the antifungal, antiviral and antibacterial agents it contains play equally important roles in keeping the immune system strong. When the immune system is strong, it lowers the chances of suffering from flu, cold and cough. If you do get the flu or a cold, drink a glass of warm milk mixed with a teaspoon of turmeric every day to feel better sooner. Research has found that seasoning foods with turmeric can help in reducing serum cholesterol levels. FYI, high cholesterol can be a major cause to other serious health issues. So, maintain your cholesterol level by adding turmeric to your diet and prevent cardiovascular diseases and other major conditions and illnesses. As mentioned earlier, turmeric is a natural antibacterial and antiseptic agent, making it an extremely versatile natural disinfectant. If you have a burn, cut or any other wound, just sprinkle a little bit of turmeric powder on the affected area – it will help speed up the healing process. Turmeric also works amazingly well in repairing damaged skin and can be used as a natural treatment for inflammatory skin conditions like psoriasis. Are you looking for a natural way to maintain your body weight? Then try resorting to turmeric. This super spice contains a component that increases the flow of bile, which is an important component that helps in breaking down dietary fat. For a natural way to treat obesity or lose weight, turmeric is great. How to use turmeric? Just incorporate a teaspoon of turmeric into your daily diet, and allow it to work wonders. One of the major causes of Alzheimer’s disease and other cognitive disorders is brain inflammation. Turmeric is a powerful natural treatment in this case as it supports overall brain health by improving oxygen flow and helping in removing the build up of plaque in the brain. This can eventually slow down or prevent the progression of Alzheimer’s. Turmeric is effective in naturally detoxifying the liver too. This organ produces enzymes and detoxifies blood. What the spice does is boosting the production of these enzymes, which then breaks down and decreases toxins in the body. Plus, turmeric is also believed to help improve and invigorate blood circulation. Together, these factors play a major role in supporting good liver health. Many key turmeric components stimulate the gallbladder to produce bile, which in turn improves digestion and lower the symptoms of gas and bloating. Additionally, this super spice is an effective treatment for most forms of inflammatory bowel disease, including ulcerative colitis. However, keep in mind that those who suffer from any type of gallbladder disease should avoid turmeric dietary supplements as it could make the condition worse. Should you suffer from a digestive problem, then the best way to treat it is to consume turmeric in its raw form. 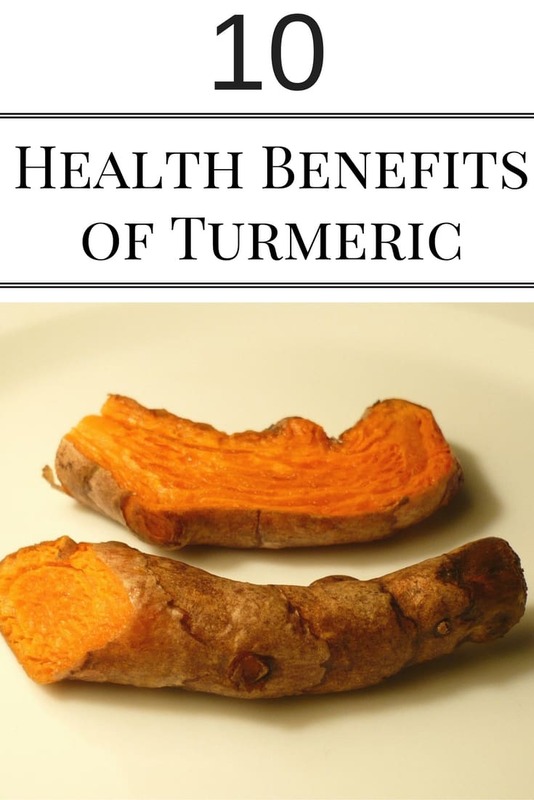 With so many turmeric health benefits discovered, one of the best things you could do to improve your health and quality of life is to add this amazing herb to your daily diet. From fighting and preventing cancer to boosting digestion, there is not much that this powerful medicinal herb cannot do. Apart from adding it to your diet, you can also take supplements of turmeric curcumin – just make sure that you talk to your doctor first.